Solar power is suitable for remote areas that are not connected to energy grids. It may come as a surprise to city-dwellers but, according to Home Power Magazine, as of 2006, 180,000 houses in the United States were off-grid, and that figure is likely considerably higher today. California, Colorado, Maine, Oregon, Vermont and Washington have long been refuges for such energy rebels, though people live off the grid in every state. While many of these people shun the grid on principle, owing to politics and environmental concerns, few of the world’s 1.8 billion off-the-gridders have any choice in the matter. Solar energy can drastically improve the quality of life for millions of people who live in the dark, especially in places such as Sub-Saharan Africa, where as many as 90% of the rural population lacks access to electricity. People in these areas must rely on fuel-based lighting, which inflicts significant social and environmental costs, from jeopardized health through Rural, off-grid homes are excellent applications for solar powercontamination of indoor air, to limited overall productivity. Solar power takes advantage of net metering, which is the practice of crediting homeowners for electricity they produce and return to the power grid. As part of the Energy Policy Act of 2005, public electric utilities are required to make available, upon request, net metering to their Manhattan, and much of the northeast USA, goes dark in August, 2003customers. This practice offers an advantage for homeowners who use solar panels (or wind turbines or fuel cells) that may, at times, produce more energy than their homes require. If net metering is not an option, excess energy may be stored in batteries. Designing and building an energy-efficient home that conforms to the many considerations faced by home builders can be a challenge. However, at InterNACHI, we believe that any house style can be made to require relatively minimal amounts of energy to heat and cool, and be comfortable. It’s easier now to get your architect and builder to use improved designs and construction methods. Even though there are many different design options available, they all have several things in common: a high R-value; a tightly sealed thermal envelope; controlled ventilation; and lower heating and cooling bills. A “thermal envelope” is everything about the house that serves to shield the living space from the outdoors. It includes the wall and roof assemblies, insulation, windows, doors, finishes, weather-stripping, and air/vapor-retarders. Specific items to consider in these areas are described below. These are generally plywood or oriented strand board (OSB) sheets laminated to a core of foam board. The foam may be 4 to 8 inches thick. Since the SIP acts as both the framing and the insulation, construction is much faster than OVE or its older counterpart, “stick-framing.” The quality of construction is often superior, too, since there are fewer places for workers to make mistakes. An energy-efficient house has much higher insulation R-values than required by most local building codes. For example, a typical house in New York state might contain haphazardly installed R-11 fiberglass insulation in the exterior walls and R-19 in the ceiling, while the floors and foundation walls may not be insulated at all. A similar but well-designed and constructed house’s insulation levels would be in the range of R-20 to R-30 in the walls (including the foundation) and R-50 and R-70 in the ceilings. Carefully applied fiberglass batt or roll, wet-spray cellulose, or foam insulation will fill wall cavities completely. The “airtight drywall approach” and the “simple CS” system are other methods to control air and water-vapor movement in a residential building. These systems rely on the nearly airtight installation of sheet materials, such as drywall and gypsum board, on the interior as the main barrier, and carefully sealed foam board and/or plywood on the exterior. The typical home loses over 25% of its heat through windows. Since even modern windows insulate less than a wall, in general, an energy-efficient home in heating-dominated climates should have few windows on the north, east, and west exposures. A rule-of-thumb is that window area should not exceed 8% to 9% of the floor area, unless your designer is experienced in passive solar techniques. If this is the case, then increasing window area on the southern side of the house to about 12% of the floor area is recommended. In cooling-dominated climates, it’s important to select east-, west- and south-facing windows with low solar heat-gain coefficients (these block solar heat gain). A properly designed roof overhang for south-facing windows is important to avoid overheating in the summer in most areas of the continental United States. At the very least, Energy Star-rated windows (or their equivalents) should be specified according to the Energy Star Regional Climatic Guidelines. Since an energy-efficient home is tightly sealed, it’s also important and fairly simple to deliberately ventilate the building in a controlled way. Controlled, mechanical ventilation of the building reduces air moisture infiltration and thus the health risks from indoor air pollutants. This also promotes a more comfortable atmosphere, and reduces the likelihood of structural damage from excessive moisture accumulation. A carefully engineered ventilation system is important for other reasons, too. Since devices such as furnaces, water heaters, clothes dryers, and bathroom and kitchen exhaust fans exhaust air from the house, it’s easier to depressurize a tight house, if all else is ignored. Natural-draft appliances, such as water heaters, wood stoves and furnaces may be “back-drafted” by exhaust fans, which can lead to a lethal build-up of toxic gases in the house. For this reason, it’s a good idea to only use “sealed-combustion” heating appliances wherever possible, and provide make-up air for all other appliances that can pull air out of the building. Other ventilation devices, such as through-the-wall and/or “trickle” vents may be used in conjunction with an exhaust fan. They are, however, more expensive to operate and possibly more uncomfortable to use, since they have no energy-recovery features to pre-condition the incoming air. 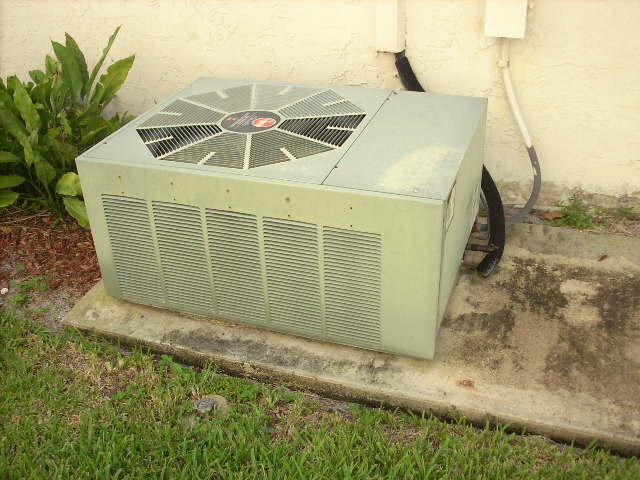 Uncomfortable incoming air can be a serious problem if the house is in a northern climate, and it can create moisture problems in humid climates. This sort of ventilation strategy is recommended only for very mild to low-humidity climates. Houses incorporating the above elements should require relatively small heating systems (typically, less than 50,000 BTUs per hour, even for very cold climates). Some have nothing more than sunshine as the primary source of heat energy. 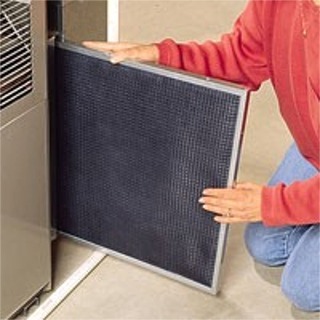 Common choices for auxiliary heating include radiant in-floor heating from a standard gas-fired water heater, a small boiler, furnace, or electric heat pump. Also, any common appliance that gives off “waste” heat can contribute significantly to the heating requirements for such houses. Masonry, pellet and wood stoves are also options, but they must be operated carefully to avoid back-drafting. There are some potential drawbacks. They may cost more and take longer to build than a conventional home, especially if your builder and the contractors are not familiar with these energy-saving features. Even though the structure may differ only slightly from a conventional home, your builder and the contractors may be unwilling to deviate from what they’ve always done before. They may need education and training if they have no experience with these systems. Because some systems have thicker walls than a typical home, they may require a larger foundation to provide the same floor space. Before beginning a home-building project, carefully evaluate the site and its climate to determine the optimum design and orientation. You may want to take the time to learn how to use some of the energy-related software programs that are available to assist you. Prepare a design that accommodates appropriate insulation levels, moisture dynamics, and aesthetics. Decisions regarding appropriate windows, doors, and HVAC appliances are central to an efficient design. Also evaluate the cost, ease of construction, the builder’s limitations, and building code-compliance. Some schemes are simple to construct, while others can be extremely complex and thus more expensive. An increasing number of builders are participating in the federal government’s Building America and Energy Star Homes Programs, which promote energy-efficient houses. Many builders participate so that they can differentiate themselves from their competitors. Construction costs can vary significantly, depending on the materials, construction techniques, contractor profit margin, experience, and the type of HVAC chosen. However, the biggest benefits from designing and building an energy-efficient home are its superior comfort level and lower operating costs. This relates directly to an increase in its real-estate market value.